You remember when I shared with you the sound advice of my dear old Pa about sowing peppers? Well he was right! I got home from work tonight, and before greeting Soph with a warm hug, I made a beeline for those propagators warming my precious seedlings (sorry, Soph!). Every night I’ve been pampering them, singing them lullabies, rocking them gently, even flirting with them in hope of prompting some germination action. However, this evening my (slightly bonkers) antics seem to have been rewarded, and my peppers (F1 Gypsy Hybrid) have shot their delicate shoots out into the world! Can you see? 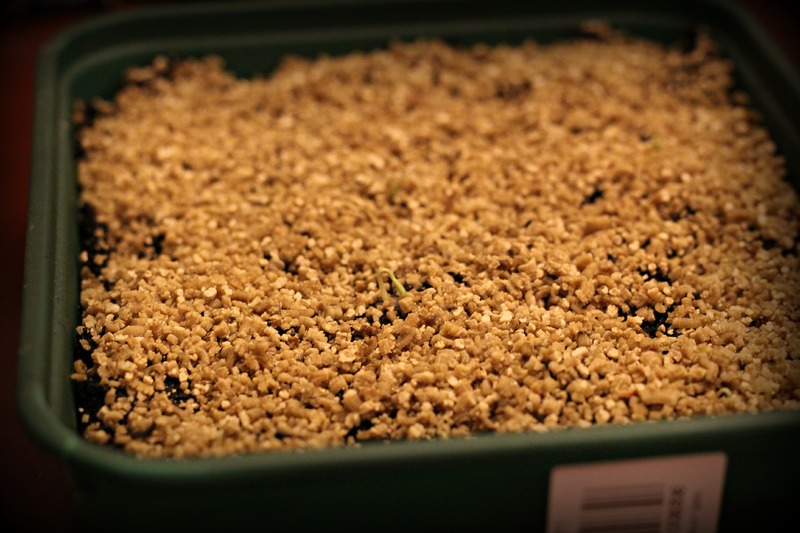 Of course it’s early days, but seeing these little seedlings warms my heart and fills me with daydreams of spring. But there’s more! 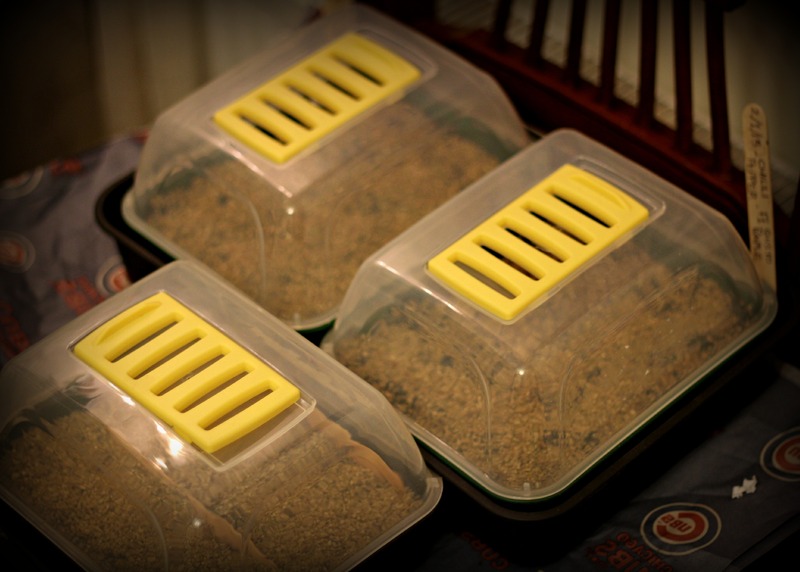 Last weekend I cracked open another propagator so I could get a head start with my aubergine seeds. We haven’t grown aubergines before, but I recently bought a packet of Bonica F1 Hybrid and a few weeks ago I was sent a free packet of Morro Rodondo. Having done a little homework and talked to a few gardeners, both up on the allotment and over at my gardening college, I convinced myself that now was the time to do it. As part of the potato and tomato family, aubergines don’t like frost but I have read conflicting advice about the best times to plant them. I’ve heard that you should sow them under cover six weeks before the last frost, but I’ve also heard you can sow them as early as January, as long as they’re kept under cover, to enable them to mature earlier so that they will eventually produce more fruit. With our changing climate, our last frosts are no longer easy to predict, which made me more inclined to follow the January planting suggestion. Gardeners are always full of differing (often contradictory) advice and what works for one veg grower, may not work for another. I’ve planted them now so we’ll see if it works! I agree about sowing the aubergines now, based on my experiences last year😊. That’s good to know Helen! As it’s my first time growing aubergines all advice is welcome – Thanks.